"Another rainbow mini quilt – yay! I’ve named this quilt the Rainbow Coins Mini Quilt because it reminds of a traditional quilt design sometimes called Chinese coins which stacks rectangles of fabric on top of each other in columns. My design has a green stripe across the middle of the set because the practical side of me didn’t want to chop it in rectangles only to stitch them together again! 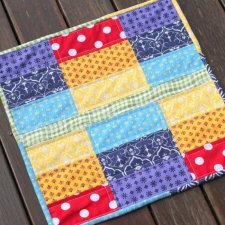 But the quilting really emphasises the rectangles I think. "I hope you enjoy making this one as much as I did. 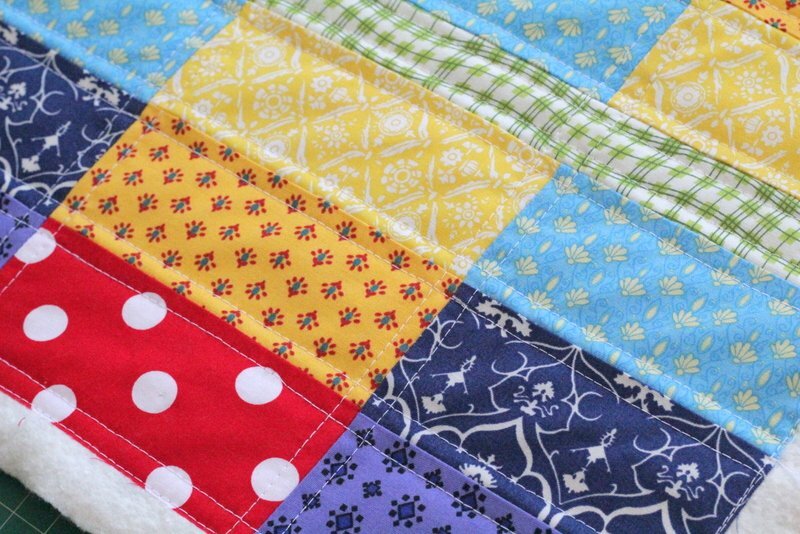 I’d love to see your finished mini quilts so tag me on Instagram or Facebook, or even Google+ if you’re over there."